Greater Cincinnati Chinese Chamber of Commerce in collaboration with Cincinnati Chamber Orchestra is proud to present Voyage of the Red Violin Concert. The legendary “Mendelssohn” Stradivarius violin that inspired the film The Red Violin is coming to Cincinnati. The fictionalized voyage of this violin through the centuries creates a musical blueprint for this concert that will take us to contrasting musical worlds. Concert will begin in China, one of the stops for the violin, with music by composers who grew up during the Cultural Revolution when classical music was forbidden. Greater Cincinnati Chinese Chamber of Commerce is proud to present a Members Only Event on May 31, 2018. 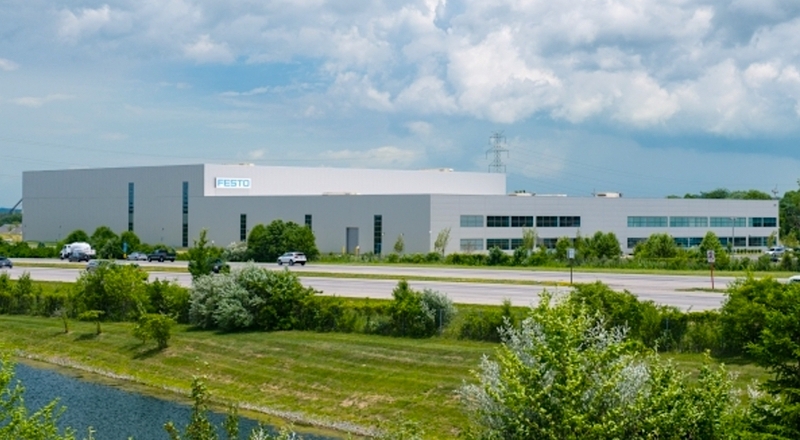 Members who are interested please register below for an exclusive guided tour of Festo Corp. facility in Mason, OH followed by a company presentation and working lunch. If any questions please contact Leo Chan 513.501.3087. All Chamber Members please join us at Festo Corp.
Join the NKY International Trade Association and the Oriental Wok as they welcome Minister Zhu Hong, Minister for Commercial Affairs, Embassy of the People’s Republic of China. Jin Kong, Greater Cincinnati Chinese Chamber of Commerce Board Chair, has been working at the Greater Cincinnati World Affairs Council (GCWAC) for six months through a fellowship with The Mission Continues. He is looking to “receive a better understanding of the populist sentiment towards immigrants in Cincinnati.” Through this research, Kong will be sharing weekly blog posts through GCWAC’s website on Chinese culture in Cincinnati. Click here to read more of his blogs. China’s recorded history began some four-thousand years ago. Three dynasties preceded the unification of China in 221 BCE: Xia (2070 BCE), Shang (1600 BCE), Zhou (1046 BCE). The Zhou period is a time of flourishing civilization. The writing was codified and ironwork became more sophisticated. China saw the rise of philosophers such as Confucius and Lao-Zi (Taoism) in this period. During Qin ShiHuang’s reign, writing and measurements were unified under a single system; government rule was centralized; trade was made easier by uniformed currency and standardized width of cart-wheels. 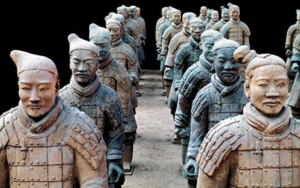 Qin-ShiHuang was also famous for building the first section of The Great Wall of China and his “Terracotta Army” which accompanied him to his tomb. Many dynasties followed Qin. Most notably the Tang Dynasty, which was known as China’s golden age (618-907 AD); the Song Dynasty, which saw great scientific and technological advancements (960-1279 AD); and Ming Dynasty, which saw the completion of the Great Wall and the Forbidden City (1368-1644 AD). The last dynasty of China, (Qing) was ruled by the Manchus and ended in 1911. The Qing dynasty was succeeded by China’s modern republic age and eventually saw the rise of the People’s Republic of China in 1949. During the Qing dynasty (in 1868), the United States and China entered into the Burlingame Treaty. This treaty established a formal relationship between the two countries. China was granted “most favored nation” status and immigration were encouraged. The first wave of Chinese immigrants arrived in the United States between the 1850s to 1880s. They mostly settled along the coasts (in California or New York). Most Chinese immigrants were labors working to build railroads. In the 1870s, there were repeated efforts to limit Chinese immigration to the United States. The Fifteen Passenger Bill of 1879 limited the number of Chinese passengers to 15 in any single voyage to the United States. President Rutherford B. Hayes vetoed the bill because it violated the terms of the Burlingame Treaty. Following the veto, President Hayes sent James Burrill Angell to China and he successfully negotiated a new treaty allowing restrictions on Chinese immigration. 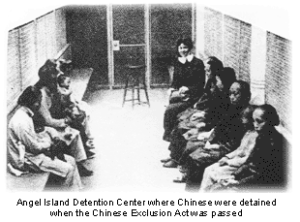 Following the Angell Treaty of 1880 was the passage of the infamous Chinese Exclusion Act of 1882. This Act was not repealed until 1943 under the Magnuson Act. Following the repeal, the second wave of Chinese immigrants to the US began from the late 1970s to the present. The first Chinese migrants in Ohio were mostly descendants of Chinese immigrants who had settled on the West Coast. A majority of them moved to northeastern Ohio (Cleveland area). Some came to Cincinnati and made this region their home. According to a local new paper report of the Census Bureau account, there were 17 Chinese living in Cincinnati in 1910 (“SEVENTEEN CHINESE: And Seven Japanese Lived in Cincinnati in 1910, Report Says.” SPECIAL DISPATCH TO THE ENQUIRER, Nov 28, 1914). However, as early as 1894, the Cincinnati Enquirer reported Chinese New Year Celebration by about 30 Chinese men led by a laundry shop owner Sam Kee (“‘SUN NIN,’: The Chinese New-Year’s Day, Celebrated By Cincinnati Celestials with Much Eclat.” Cincinnati Enquirer, Feb 6, 1894). In 1876, the first Chinese American reportedly voted in Cincinnati. (“The First Chinese Voter.” Cincinnati Enquirer, Apr 4, 1876). In 1912, the Enquirer reported the first woman and child immigrant moving to Cincinnati (“CHINESE: Wife and Child Coming To Take Up Their Residence in Cincinnati – Similar Distinction May Be Given Covington.” Cincinnati Enquirer, Sep 26, 1912). In 1914, the Cincinnati Enquirer reported the first Chinese Baby born here to Mr. and Mrs. Wong Yie at their Vine Street restaurant (“CHINESE BABY, First To Be Born in Cincinnati, Is Christened Wong Gut Ting in Fathers Home.” Cincinnati Enquirer, Jun 8, 1914). Today, thousands of Chinese descendants call the Greater Cincinnati region their home. Thousands more immigrate to Cincinnati to work or attend school. There are more than a dozen active Chinese community organizations in this region doing all sorts of charitable work. Most notably, the Greater Cincinnati Chinese Chamber of Commerce, the Cincinnati Chinese Society, the Chinese American Association of Cincinnati, the Cincinnati Chinese Church, and the Cincinnati Chinese Culture Learning Association. Jin Kong is a fellow through Mission Continues working with GCWAC. Original articles found here. The Greater Cincinnati World Affairs Council (GCWAC) is a 501(c)(3) international non-profit organization that builds global understanding and promotes international awareness through education, information, and exchange of people and ideas. We work in cooperation with the government, companies, as well as cultural and educational bodies. CLICK HERE for more information. The Mission Continues is a national nonprofit organization that empowers veterans who are adjusting to life at home to find purpose through community impact. Their operations in cities across the country deploy veteran volunteers alongside non-profit partners and community leaders to solve some of the most challenging issues facing our communities: improving community education resources, eliminating food deserts, mentoring at-risk youth and more. Through this unique model, veterans build new skills and networks that help them successfully reintegrate into life after the military while making long-term, sustainable transformations in communities and inspiring future generations to serve. CLICK HERE for more information. Greater Cincinnati was named the 10th Best Metro Area for STEM Professionals in a recent study from the leading personal finance outlet WalletHub.com. On the heels of our earlier report on the Best & Worst Cities to Find a Job, WalletHub analyzed the 100 most populated metropolitan statistical areas across 11 key metrics to help STEM professionals find the best markets for their valuable occupations. Our data set ranges from job openings per capita for STEM graduates to annual median wage growth for STEM jobs.